Patti Scialfa wurde am 29. Juli 1953 in Long Branch, NJ als Vivienne Patricia Scialfa geboren. Schon als 18jährige stand sie als Backgroundsängerin diverser Bands auf der Bühne und tourte unter anderem mit den "Rolling Stones", David Johansen oder Southside Johnny & the Asbury Jukes. Patti Scialfa kann einen Abschluss im Fach Musik an der "New York University" sowie die Teilnahme am Jazzkonservatorium der renommierten "Frost School of Music" vorweisen. Jahrelang war sie mit der Frauenband Trickster (mit Soozie Tyrell und Lisa Lowell) in diversen Clubs aufgetreten. Im Winter 1971 suchte Bruce Springsteens Manager Tinker West in der "Asbury Park Press" nach talentierten Sängerinnen. Wenig später stellte sich die rothaarige Patti vor und wurde abgelehnt. 1984 - kurz vor dem Beginn der "Born in the USA Tour" - erinnerte sich Bruce Springsteen an die junge Künstlerin und bot ihr den Job als Backgroundsängerin an. Patti Scialfa nahm das Angebot an und wurde bald Bruce Springsteens Geliebte. Nachdem Bruce Springsteens Ehe mit dem Fotomodell Julianne Phillip geschieden wurde, heiratete sie den "Boss" im Jahre 1991. Derzeit leben die beiden in Rumson, New Jersey und haben drei Kinder: Evan James (*1990), Jessica Rae (*1991) und Sam Ryan (*1993). Mike Campbell, Nils Lofgren, Bruce Springsteen, Tim Pierce (Guitar), Soozie Tyrell (Violin), Zach Alford, Gary Mallaber (Drums), Cliff Carter (Bass), Benmont Tench (Keyboards), Roy Bittan (Keyboards), Rob Jaczko, Bobbye Ball (Percussion), Lisa Lowell (Vocals). Alle Songs wurden von Patti Scialfa selbst geschrieben. Produziert wurde das Album von Mike Campbell. Das Album wurde von den Kritikern sehr gelobt, wurde aber mit nur 55.000 verkauften Exemplare ein finanzieller Misserfolg. 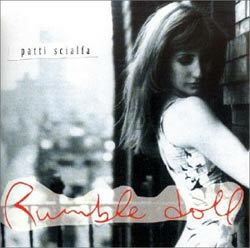 Rumble Doll proves that Patti Scialfa is more than a beautiful redhead with good connections. The 12 songs on the album don't necessarily jump out at the listener on the first listen. Instead, it's more of a slow seduction. Scialfa, who penned all the songs on the album, incorporates a '60s-style vibrato reminiscent of Ronnie Spector; however, the production is low-key compared to '60s girl singers produced by Phil Spector. There's not a bad song in the bunch, and the title track is a gem. Mr. Scialfa is a lucky man to have such a lovely and talented wife. Mit von der Partie waren folgende Musiker: Nils Lofgren (Gitarre), Marc Ribot (Gitarre), Soozie Tyrell (Gesang, Violine), Willie Weeks (Bass), Clifford Carter (Keyboard), Jane Scarpantoni (Cello), Steve Jordan (Drums). Singer Patti Scialfa's new CD was a long time coming — her previous solo release was in 1993. But she says husband Bruce Springsteen offered this encouragement: "The record will tell you when it's complete." Still, it's a fine line between giving advice and bossing your spouse around. Scialfa, who joined Springsteen's E Street Band in 1984, needed an opening song for the album. So she turned to the fellow musician in the family. "He said, 'You should write something like 'New York City Lullaby,'" Scialfa tells NPR's Renee Montagne. "He just came right up with that. And I got... mad because now he's telling me what to do," Scialfa says with a chuckle. 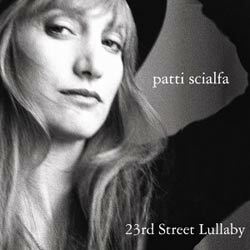 They argued about it for weeks — she thought New York City was too broad a subject — but Scialfa eventually narrowed the focus a bit by calling the song — and the CD — 23rd Street Lullaby. With titles including "You Can't Go Back," "Each Other's Medicine," "Romeo" and "Young in the City," Scialfa's songs combine autobiographical elements with imaginary ones. "I like to start with something I feel very close to and very emotionally true about," she says. "And as long as I have that as a core inspiration, then you can add your fiction on top of it..."
Produziert wurde das Album erneut von Steve Jordan. Als Gastmusiker traten folgende Künstler in Erscheinung: "The Wack Brothers", Cliff Carter (Keyboards), Steve Jordan (Schlagzeug, Gitarre), Nils Lofgren (Gitarre), Bruce Springsteen (Hammond Orgel, Akustik Gitarre, Mundharmonika), Willie Weeks (Bass), Ron Aniello (Gitarre, Keyboards), Soozie Tyrell (Violine), Crusher Bennet, Jeremy Chatzkey, Mark Stewart, Scott Tibbs, Lisa Lowell, Michelle Moore, Cindy Mizelle und Curtis King. 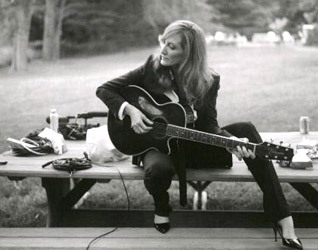 Patti Scialfa can't utter a sentence, let alone issue an entire album, without the world scanning it for Bruce Springsteen-related subtext, so on Play It as It Lays--the sharpest, most assured, and best record of her solo career--she gives up. This beautiful, world-weary record, rich in girl-group harmonies, folk-roots rhythms, and clear-eyed lyrics, gets to the heart of what it means to be in a long-term relationship, whether it's with a rock god or a shoe salesman. There are sacrifices ("Like Any Woman Would"), concessions ("Town Called Heartbreak"), thrills ("Rainy Day Man"), and long spells of casting aside wistfulness and scraping up hope ("Looking for Elvis"). Most of all, though, there is honesty. 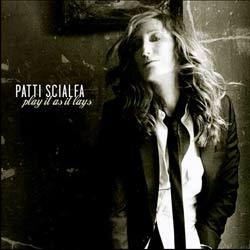 Scialfa, a longtime E-Street band member and mother to the three Springsteen teenagers, sings these songs in the dark, grainy voice that's distinguished her from the start, but here it takes on a weightier, more lived-in quality. She's as comfortable with this material as she was with her backing band for the project--Willie Weeks, Nils Lofgren, Cliff Carter, and Mr. Springsteen himself all piled into a room in her New Jersey farmhouse for the sessions, christening themselves the Whack Brothers along the way--and it shows. 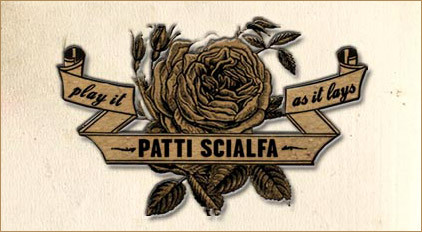 Play It as It Lays is Scialfa's Born in the USA; her masterpiece. Am 7. Mai 2011 lief auf Oprah Winfreys Kabelsender OWN die Dokumentation “No Woman, No Cry”. Der gleichnamige Soundtrack ist in Amerika in den Starbucks Filialen zu haben. 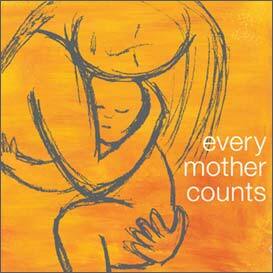 Mit dabei ist Patti Scialfa mit dem bisher unveröffentlichten Song “Children’s Song”. Bruce Springsteen steuerte die Backing Vocal bei. 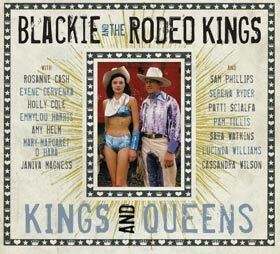 Die aus der Gemeinde Hamilton in Ontario (Kanada) stammende Alternativ-Country/Rock/Folk Formation "Blakie and the Rodeo Kings" veröffentlichten im Juli 2011 ihr siebtes Studioalbum. Auf “Kings and Queens” sind 14 Songs zu finden, die mit bekannten Musikgrössen wie Rosanne Cash, Emmylou Harris, Pam Tillis, Serena Ryder, Lucinda Williams und Bruce Springsteens Ehefrau Patti Scialfa eingespielt wurden. Patti Scialfa singt auf “Shelter Me Lord” die zweite Stimme.